Based in Baska Voda, just west of Makarska, is Emilija, a 2004 Sun Odyssey 49. 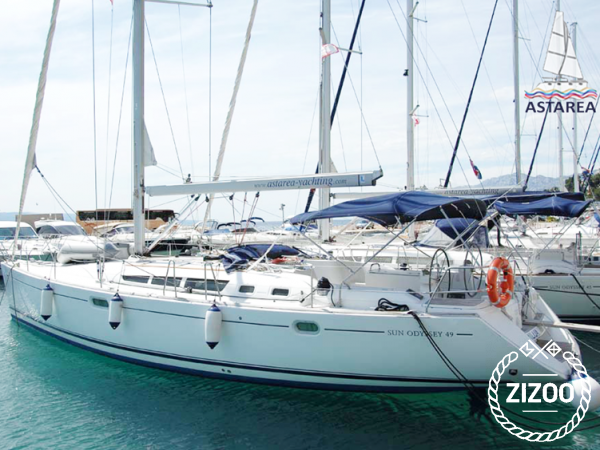 This boat, whether sailing or still, offers extraordinary comfort for large families or groups of friends. With 4 cabins that sleep 8 comfortably, plus 2 more berths in the salon, Emilija guarantees a fun and eventful holiday on the Adriatic Sea. The boat features a spacious salon, a large and well-equipped kitchen area, with loads of natural light and fresh air flowing through. Sit at the chart table and plan your next route, or sip on a refreshing beverage on deck as you scan the blue for dolphins and swordfish. Anchor at a secluded bay and do bellyflops into the water, or visit one of the many beaches where you can spread out your towel and soak up the sun. Should you have any questions regarding the boat or your trip, feel free to get in touch with your friendly crew for further information.